Sprinkle Rock-star Dust on Your Squad When Traveling in Our White Cadillac Escalade! Looking for a way to impress your guests? Why not make a big statement with our Shiny White Cadillac Escalade! Our White Cadillac Escalade is the epitome of luxury traveling, and offers you the chance to experience ultimate luxury, reserved for the elite. It is guaranteed to surpass any expectation you have and is going to make a massive statement to whoever you want to impress. 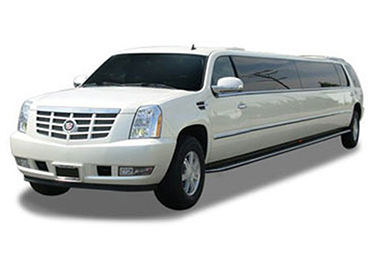 The White Cadillac Escalade was introduced in our luxury limousine fleet to impress our customers, and their guests. This makes it the perfect vehicle for entertaining guests, or taking someone out on a special date. It is guaranteed to make your day, as our White Cadillac Escalade is built to astound, and offers the ultimate in luxury and design, with cutting-edge features. It is available in various interior themes to reflect the mood of the setting, and can be customized according to the theme of your event. The luxury vehicle also has all the luxury features that make it one of the best modes of transport in the Greater Bay Area. The White Cadillac Escalade provides convenient and luxurious travel experience, with lots of additional options like black tinted windows, panoramic moon roof, heated seats, leather upholstery, Wi-Fi, laptop desk, surround sound speaker system, wet bar, disco lights, and lots of other cutting edge entertaining facilities that make it the perfect party vehicle. It’s Time You Shook the Ground by Making Your Entrance in our Luxury White Cadillac Escalade! Our luxury White Cadillac Escalade limo bus is ideal for corporate transfers, general transportation and for making those special events extra special. With all the ultra-modern amenities you could wish for the White Cadillac Escalade is your best choice for travelling in the Greater Bay Area. At Primo Transportation, we provide you with the ideal vehicles for traveling in comfort, luxury, and style. 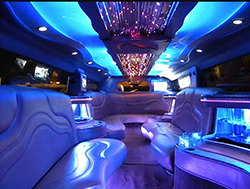 If you want to party or show-up in style in the Greater Bay Area, we have a complete fleet of party buses, and luxury limo buses to accommodate your every need. 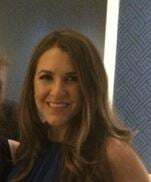 Learn more about our luxury White Cadillac Escalade party bus service and the various custom packages we offer to our customers to day. Get in touch with one of our customer service representatives anytime that’s convenient for you. We are available 24/7 to answer and address any question and concern you may have about the services we offer. You can easily book our services online, or get in touch with our business representatives first to aid you in selecting the best package according to your specific requirements.